El Gato has posted a video that goes into detail on Doctor Doom's Foot Dive and Missile confirms. Watch it inside. 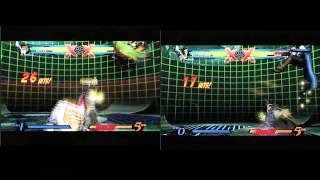 Ultimate Marvel vs. Capcom 3 appears to be a simple fighting game on the surface, but there are many things to consider before taking on experienced players. El Gato has uploaded a new video explaining Doctor Doom's Foot Dives, Missile confirms and more.